White etching cracks lead to premature bearing failure. Schaeffler offers different technologies for making bearing supports more resistant to white etching cracks. "Reliability made by Schaeffler" - Schaeffler will showcase its capabilities using this motto at the EWEA trade show 2015. An increasing number of wind turbines are being installed worldwide. The success of wind power means that the productivity of wind turbines is gaining in importance. Schaeffler is making its contribution by providing reliable components and a comprehensive range of services. The wind year 2015 began with a new record. The wind turbines installed in Germany produced 9,776 gigawatt hours of power during January, the largest amount ever produced in a single month. This amount of power is equal to the production of twelve nuclear power plants operated at full power round the clock. The new record is due to the consistent expansion of wind power, which also reached a new record mark in the previous year. According to information from the Germany Engineering Federation VDMA, new wind turbines with a total output of 4.8 gigawatt were installed on shore alone in 2014. This is in addition to the number of new wind turbines installed off shore, which was significantly less than on land. All the offshore wind turbines had a combined output of more than one gigawatt for the first time at the end of 2014. Today, Schaeffler is a global player, which offers the right solution for every bearing position in wind turbines. The company not only has manufacturing capacity in China. It also has a team in Anting near Shanghai, which develops wind power components specially for local customers. In the USA and India, large-size bearings are also manufactured for the relevant markets. The development in the markets has not been uniform: The two-megawatt class dominates internationally with correspondingly high quantities. In contrast, there is a trend towards higher outputs in Europe. For example, the average output of the wind turbines installed in Germany in 2014 was 2.7 megawatts. This means that rotor diameters are increasing: The average is currently 99 meters. In comparison, the Airbus A380 has a wingspan of only 80 meters. However, this is not the end of the line. At the beginning of 2014, the first prototype of an offshore wind turbine from MHI Vestas was put into operation in Denmark. The peak output of eight megawatts is achieved with a rotor diameter of 164 meters. The power from today’s wind turbines must satisfy economic criteria - a decisive difference to the pioneering days. 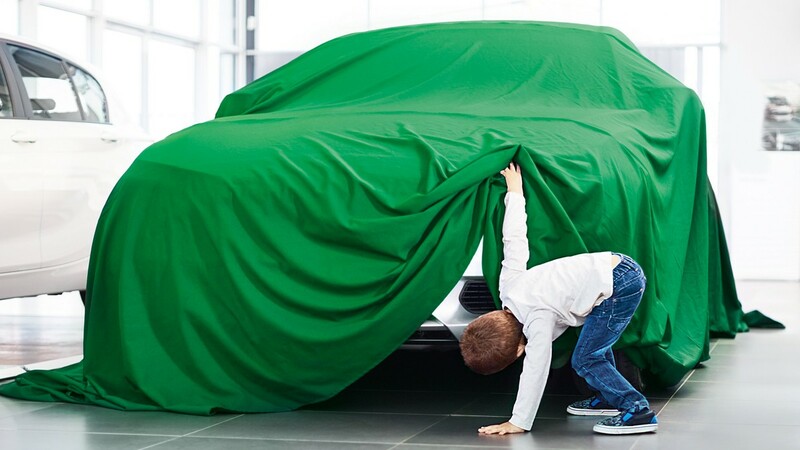 Schaeffler’s customers, i.e. 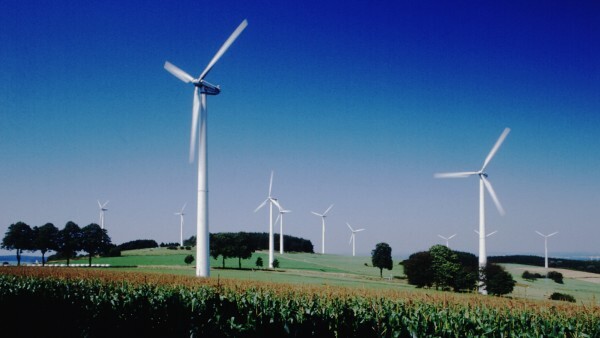 wind turbine and gearbox manufacturers, are facing strong, global competition. Therefore, the operating life costs of wind turbines are becoming increasingly important. These are mainly dependent on three factors: the investment costs, overall efficiency and reliability throughout the entire operating life, which must be a minimum of 20 years. In view of the large quantities of steel that are installed in a wind turbine, it is essential to save material or increase the power density in order to reduce investment costs. 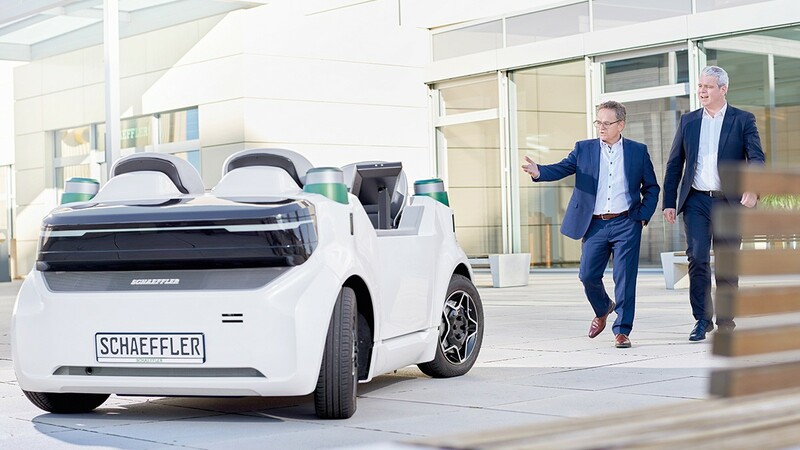 For Schaeffler, this primarily means offering solutions which enable downsizing. A decisive factor for the economic balance of a wind turbine is the number of achievable operating hours. Downtimes must be prevented. Furthermore, repairs are very expensive, particularly on offshore wind turbines. If a gearbox fails due to bearing damage at sea, the operator will be faced with repair costs of at least one million euros. Today, reliability is a decisive differentiation criterion for wind turbine manufacturers - regardless of whether on land or in the sea. When designing these bearings it is important that the load carrying capacity is ensured under all conditions without "overspecifying" – i.e. installing levels of safety that are unnecessary. In addition to its extensive experience in the wind power business, Schaeffler also uses relevant development tools in the design process. 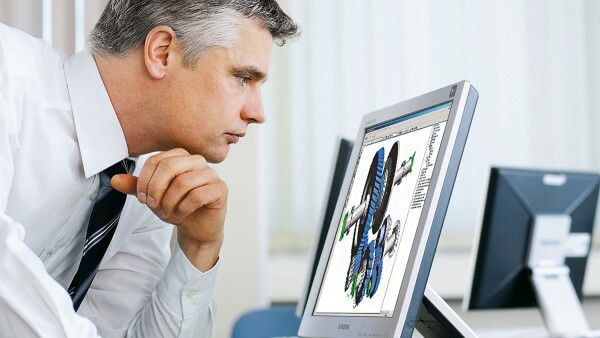 A complete wind turbine including the detailed drive train can therefore be tested using multi-body simulation before the first prototype is built. Schaeffler specialists can subsequently check if their calculations were correct on the large-size bearing test rig "Astraios" in Schweinfurt. This test rig is used to test bearings with a diameter of up to 3.5 meters for wind turbines with a peak output of up to six megawatts. Wind turbine manufacturers and operators have been concerned for some time by a phenomenon, which is described as white etching cracks (WEC) by engineers. This refers to damage in the bearing raceways, which is not initially visible from the outside and develops under the surface in the form of particularly hard zones. Due to overrolling of the rolling elements, cracks occur between the hard zones and the adjacent material, which spread up to the surface and ultimately destroy it. Schaeffler is the first bearing manufacturer to successfully reproduce WEC damage in extensive test stand runs. Help is now at hand. In addition to comprehensive consultation to reduce the influencing factors that encourage the formation of white etching cracks, Schaeffler also offers a range of solutions to make bearing supports more resistant to white etching cracks and protect them from premature failure. The technology that Schaeffler recommends and has been statistically verified for efficiently and cost-effectively reducing WEC damage is the through hardening of the bearings in combination with Durotect B coating, which is a further development of conventional black oxide coatings. Alternatively, "Mancrodur" carbonitrided case hardening steel can be used. During carbonitriding, the surface of the bearing is enriched with nitrogen and carbon and subsequently hardened. Carbonitrided Mancrodur provides a 25 percent increase in the load rating compared with a standard bearing. These bearings are also coated with Durotect B in order to make them robust against WEC. The third solution provides the highest level of safety. Here, Schaeffler uses "Cronidur 30" special steel, which has a high chromium content and is used in the aviation sector, for example. The current state of the art therefore means that the formation of white etching cracks can be completely eliminated. New methods are developed to volume production readiness at Schaeffler's Surface Technology Competence Center. The coating of volume-production parts on an industrial scale is a further area of focus. In order to increase the reliability of wind turbines, it is important to know the condition of the machine elements and plan essential maintenance work in advance. As a partner to operators, Schaeffler wants to make a contribution to reducing life cycle costs as much as possible. 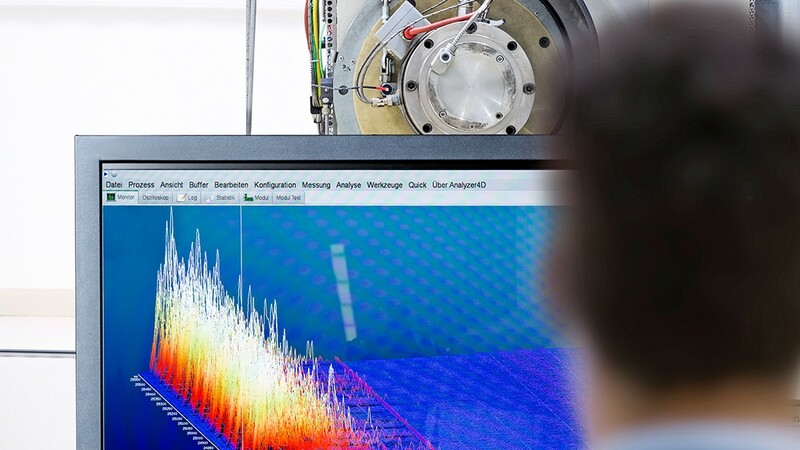 The company therefore operates an online monitoring center in Germany, in which the condition data of wind turbines is monitored. Permanent monitoring indicates damage at an early stage and enables predictive maintenance to be carried out. Schaeffler also offers a retrofit solution for machines, which are not equipped with systems for electronic condition monitoring ex-works. Local inspections with portable analysis equipment are also part of the range of services. 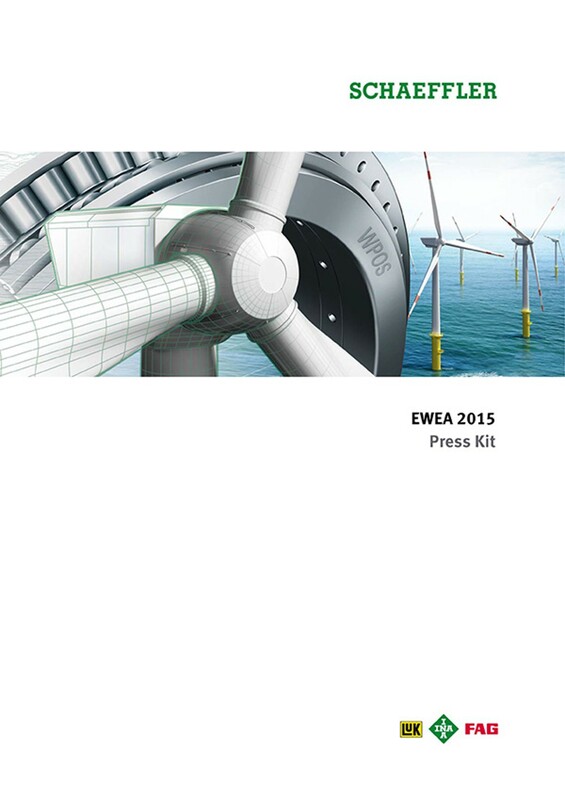 A solution for vibration monitoring of the entire drive train of wind turbines is provided by the FAG WiProM. 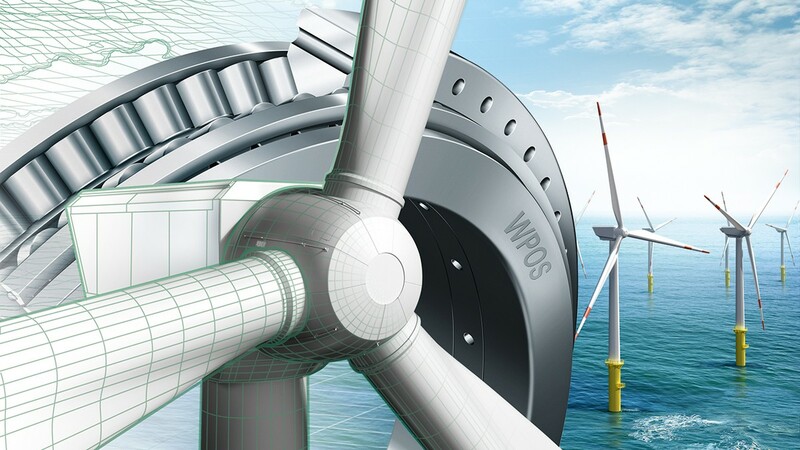 The FAG WiProM provides high-quality, meaningful data and enables economic use even in large wind farms. A patented GPS function automatically recognizes the location, making the assignment of the wind turbine fast and safe. Installation requires no special expertise and can be done shortly. Thanks to the design of the device, stable communication with the monitoring center is provided, even under unfavorable conditions. The mobile measuring device directly displays the operating status to safeguard the installation. In addition, the current status of the connection can be queried by SMS. 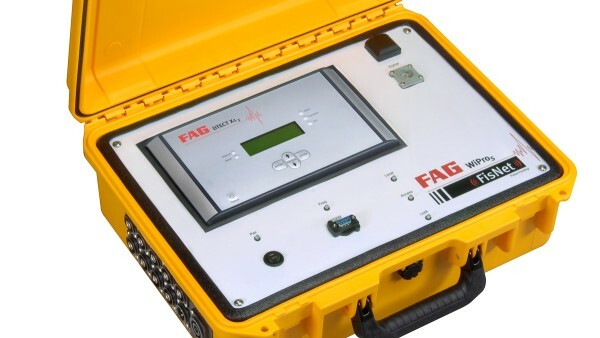 The portable FAG WiProM provides high-quality data about the condition of wind turbines.